We always consider ourselves so lucky to have such fantastic meat reared locally and well. This is a recipe created to use up cuts such as the shanks, neck or breast if you don’t fancy using them as they are, mincing and adding wonderful complimentary spices. 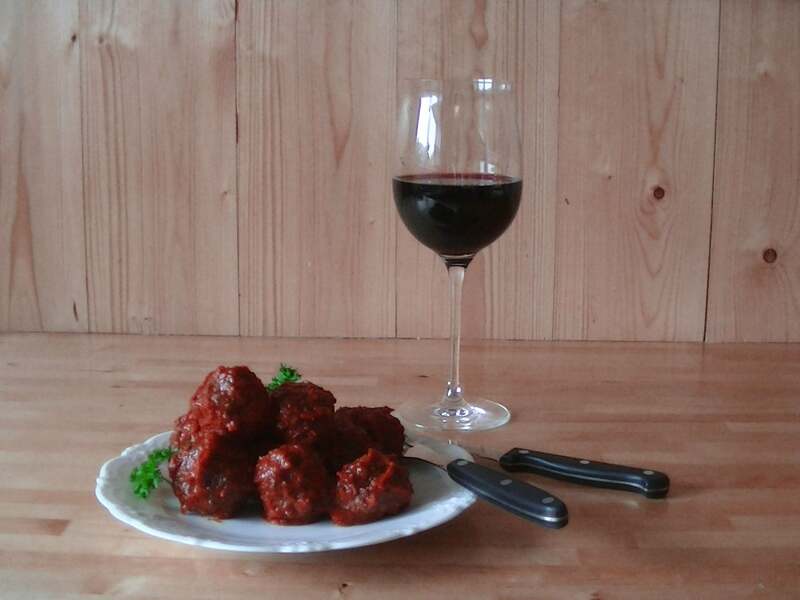 Delicously spiced meatballs are served in a rich tomato sauce. You can make this the day before you need it and let the flavours develop further in the fridge overnight. It also freezes really well. We like this served with green mustard mash and lightly spiced roast cauliflower. It is also lovely with spaghetti and of course either way, a glass of your favourite wine is a must!